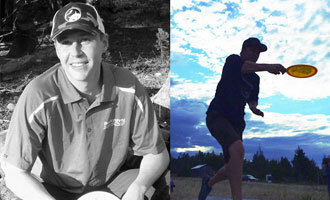 Started playing seriously in Lethbridge, but first exposure to disc golf was in 2001 in Port Coquitlam, BC. I played with some friends on a 9-hole course using beach frisbees and such and I saw disc golfers and thought “Man, those guys take this *way* too serious.” I’m now one of those guys. My favourite Daredevil discs are the Moose, Mammoth, Timberwolf, and anything I can dye. I love spin-dyeing discs in my spare time. 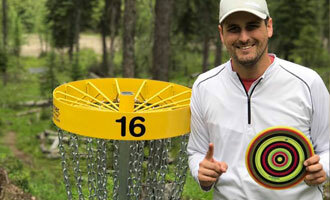 I am the founder of the East Kootenay Disc Golf Association and I installed and raised all funds for the course in my hometown. I’m heading to Am Worlds next month and I can’t wait to experience that big event. I have two little kids with one on the way. My oldest little girl is a 3x World Distance Record holder and set those records with a Daredevil Polar Bear. Favorite moment with Daredevil: In my first tournament throwing daredevil, I played my best tournament to date. I got on the lead card going into the final round and then shot the hot round to finish in second. I had recently switched to the polar bear for my putts and it made a world of difference. Best putter on the market. Player highlights: Course design Mayne Island, placed 95th at 2015 Amateur World Championship, running clinics to multi-aged players. Most memorable moment: Having my named called out at the first tee of final round of the 2015 Amateur World Championship in front of my family. Favourite Discs Wolverine- Most controllable Fairway driver I have ever thrown; your friends are going to hate when they see you pulling it out of your bag!!! Tips to beginners: Enjoy the beauty of course, laugh, stay positive, warm up, start with throwing a neutral putter (Polarbear) and HAVE FUN that’s really why we play. Been playing disc golf for 10 years. 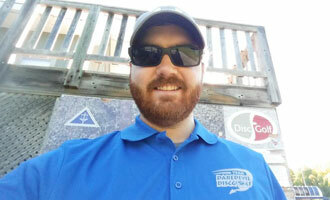 I am a school counselor at a Middle School during the workday and also run the local disc golf club in my city (FLPDGC). I hope to play as many tournaments as possible during the 2017 season and plan to play a lot of events on the Wisconsin Disc Golf Tour. I am also worked on installing another course in my town. 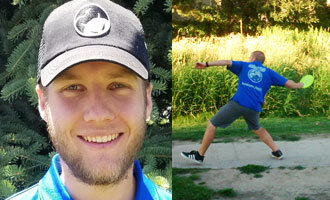 I am happy to be a member of the Daredevil Disc Golf Team and my favorite Daredevil Discs are the Sabertooth and the Polar Bear. 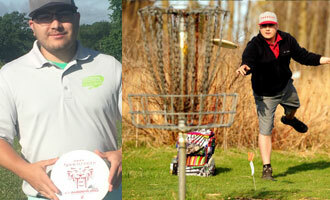 Was born with Daredevil Discs in my hands, as my first two discs were the Timberwolf and the Polar Bear. I quickly became addicted to the sport and started branching out, going online to check out and purchase a ton of discs from every disc manufacturer I could find. After trying those other discs on a variety of courses, I always came back to my roots and preferred Daredevil for their reliability and performance. In 2016, I switched to a 100% bag of Daredevil Discs and won my first pro tournament, shooting a -15 at ‘La Grosse Coupe,’ primarily using a Wolverine, a Moose, and a Polar Bear. My favourite disc is the Wolverine, which is easy to control, works on every angle you give it, and can go just as far as any other high speed driver. This makes it a must have disc for any Am or Pro player. As for my best memory, it would have to be the Final 9 at last year’s Quebec Provincial Championships, where I came in 4th but won the Final 9 Playoff round, which had a large group of spectators. I trusted my Polar Bear and it worked out great for me, sinking many long putts and helping me climb up another spot at the tournament. 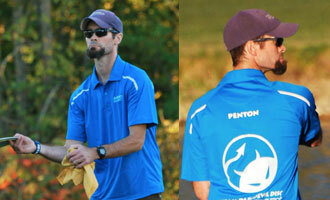 Jeremy is a flying disc fanatic. 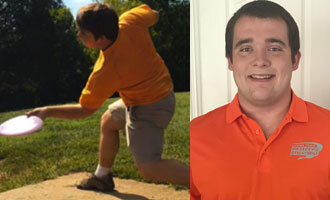 He got his start in disc sports playing Ultimate Frisbee in 2005. 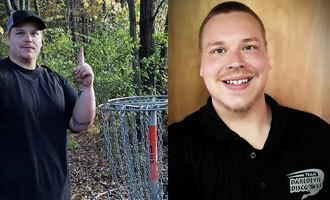 After nine years of Ultimate Frisbee, one of his roommates invited him to go play disc golf and he has been hooked ever since. His home course is West Park in Nampa, ID, but he loves getting out of town to play his favorite courses in Eagle Island and Three Island Crossing. Jeremy is an intermediate level player who has two career wins and is actively working on moving up divisions to advanced. While he has a great forehand, he prefers to throw right hand backhand. His favorite discs are the Daredevil Sabretooth, Wolverine, and Grizzly. 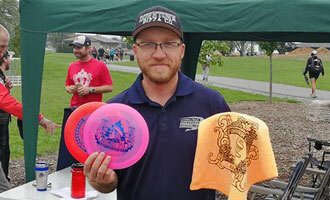 While pursing his disc golf game, he is also continuing to play Ultimate Frisbee, where he is a handler for the reigning city league champions. Jeremy also enjoys hanging out with his family, training his dog for hunting season, and playing soccer. Disc golf has become a huge part of my life. I believe it will continue to grow for decades. It’s a grass roots thing, and I hope it stays that way. I love helping to #growthesport, and I love being a part of #teamdaredevil. My favourite part of the game, besides playing it myself, is giving a disc to a first timer and watching the excitement turn to addiction. I love disc golf.